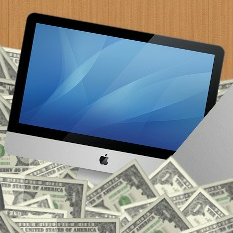 For most people, Hackintoshes are meant to be a cheaper alternative to buying a real Mac. However, Mac OS X doesn't work with just any hardware, so building your own Hackintosh on the cheap usually need some extra research. In the interest of saving you time (and money), I've compiled a list of the 4 best discount Hackintosh builds, all of which can run Mac OS X Lion flawlessly. Best of all, every one of these builds costs less than $500 to assemble. All of the builds in this list support Intel's newest 2nd-generation processors. The motherboards used are written next to the builds' names. Of course, "builds" are just lists of computer parts, which you have to assemble into a working computer by yourself. If you've never built a computer before, it's really quite easy-- you can learn how to do it in two or three hours by reading Lifehacker's very helpful computer-building guide. All of these builds support the standard ways for installing Mac OS X Snow Leopard and updating to Mac OS X Lion with tonymacx86's tools. You can also install Mac OS X Lion with iAtkos, if you'd prefer. What you get: HoboMac is Macbreaker's very own discount Hackintosh build. For the price of $340, you get a computer with a Intel Celeron G530 dual-core processor. The Celeron G530 isn't very fast, but it still holds its ground against Intel's newer Core i3 processors. You also get a NVIDIA GT 210 graphics card, which is enough to run most computer games on low/medium graphics, and to play 1080p (HD) videos. HoboMac uses a Foxconn H67S motherboard, which is a mini-ITX board. This means that HoboMac can be built with a relatively small computer case, if you want. Hackintosh Ability: Admittedly, HoboMac is not the most problem-free build on this list; rather, it aims on being as cheap as possible. HoboMac's Foxconn H67S motherboard runs Mac OS X well, considering that Foxconn motherboards are rarely used for Hackintoshes. However, the Foxconn H67S can't compare to Gigabyte's super compatible motherboards (which are used by most of the builds on this list). Most importantly, sleep mode doesn't work on HoboMac, which is a common problem with non-Gigabyte Hackintoshes. Tonymacx86.com doesn't have a DSDT for the H67S in its DSDT section, so you'll have to download a DSDT from the links I give below (but that's very easy). Besides sleep, you can enable just about everything with a single run of Multibeast: graphics, dual-display, ethernet, audio, etc. What you get: The PovoMac build is actually what inspired me to develop HoboMac; the two builds have the same processor and graphics card. The only difference is that PovoMac uses a different motherboard, the Gigabyte GA-H61M-D2-B3, which has been discontinued in the U.S. 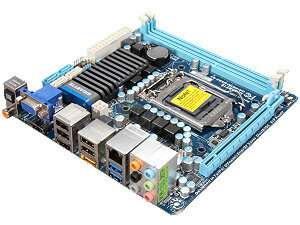 The GA-H61M-D2-B3 is a micro-ATX board, meaning that PovoMac will be a standard-sized computer (unlike HoboMac or the Customac Mini). Even though the price estimate for PovoMac in the original guide is $295 AUD (about $305 USD), the cost of the components has gone up in recent months, so the current estimate is at about $330. 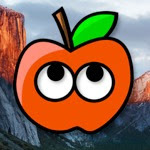 Hackintosh Ability: PovoMac is probably the cheapest computer you could possibly build that is fully supported by tonymacx86. The motherboard even has its own DSDT file in the DSDT section of tonymacx86. Setting up the computer after the initial installation of Mac OS X is nice and easy. Just run Multibeast once, and you're done. Everything works: graphics, dual-display, audio, ethernet, and sleep. What you get: In the world of discount Hackintoshing, tonymacx86's Customac Mini build is more popular than any other. The Customac Mini uses an Intel Core i3-2105 processor, which means that you don't have to buy an extra graphics card (since the i3-2105 includes HD 3000 graphics). However, speed-wise, the i3-2105 isn't really faster than the Intel Celeron G530 processor used by HoboMac and PovoMac. 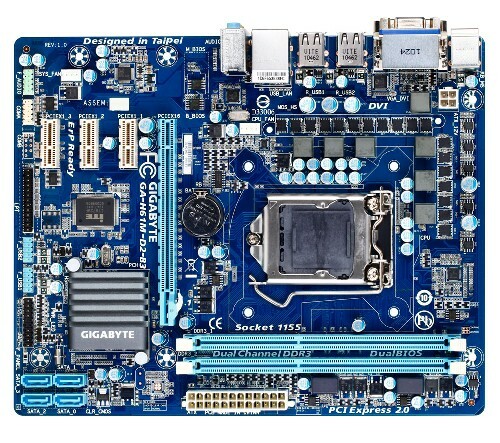 The Gigabyte GA-H67N-USB3-B3 motherboard for the Customac Mini (which is out of production in the U.S.) is a slightly higher-end option than the motherboards of HoboMac and PovoMac, since it includes extra SATA ports. But this is not a big deal unless you plan to dual-boot your Hackintosh with separate hard disks (if so, you'll need the extra SATA ports for your extra hard disks). 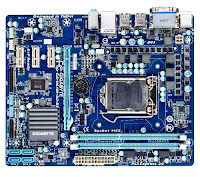 Like the Foxconn H67S motherboard in HoboMac, the Gigabyte GA-H67N-USB3-B3 is a small mini-ITX motherboard, so this build really lives up to the "mini" name. The Customac Mini costs about $420 to assemble, even though tonymacx86 estimates a cost of $320 (the $320 estimate doesn't include a hard drive or optical drive). Hackintosh Ability: Considering that this build was created by tonymacx86 himself, it's no surprise that it's fully supported by tonymacx86's methods. The post-installation is quick and easy. Obviously, there's a DSDT file available for the motherboard in tonymacx86's DSDT section. Enabling graphics, dual-display, audio, and sleep after installing Mac OS X only requires a simple run of Multibeast. The CustoMac Mini probably has the easiest post-installation process of all of the builds on this list (though PovoMac is also very easy). What you get: The Gigabyte GA-H61M-S2H motherboard used by this build is pretty much the cheapest Gigabyte motherboard that's still in production in the U.S. It's a standard-sized micro-ATX motherboard, making it pretty similar to the motherboard that PovoMac uses (though PovoMac's motherboard is less widely available). Besides the motherboard, shorn's Build isn't exactly budget-driven, so a lot of it can be substituted for cheaper parts. However, if choose to you stick to his configuration, then you'll get a reasonably fast Hackintosh that slightly outperforms the CustoMac Mini. At $490, shorn's Build isn't a bad deal, since it includes a better case and power supply than the rest of the builds on this list. Hackintosh Ability: The Gigabyte GA-H61M-S2H motherboard used by this build isn't great for Hackintoshing, since it uses non-standard audio and ethernet interfaces. Consequentially, the post-installation process for shorn's Build is less straightforward than it is for other builds. There's a DSDT file for the GA-H61M-S2H on tonymacx86's DSDT section, but despite this, sleep mode doesn't work. Sound works with the VoodooHDA 2.7.2 kext, and ethernet works with maolj's AtherosL1cEthernet kext. Both of these kexts are available in the latest version of Multibeast. 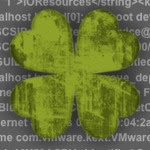 Overall, the post-installation process isn't particularly hard, so if you don't mind using VoodooHDA (which has a reputation for being unreliable) to enable sound, shorn's Build is an easy and cheap option.